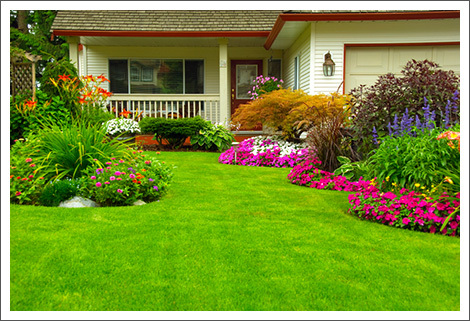 Tuff Turf, Inc. is your go-to source for all your residential landscaping service needs in Merriam, KS. With over 25 years of experience in the industry, Tuff Turf, Inc. is your best choice for all your residential landscaping service needs in Merriam, KS and the surrounding areas. Since 1989, we have acquired the extensive landscaping, tree care and lawn maintenance experience essential to satisfy the varied landscaping needs of our clients. No matter what the scope or size of your project, we are sure to complete it on time, every time! Service Personalized to Your Needs! We believe in offering personalized services and pride ourselves on personally knowing every client and their specific service requirements. Our owner is a skilled professional who strives for complete client satisfaction on every project. We offer our excellent services at competitive prices to fit your landscaping budget. Feel free to call us and let us enrich the exterior of your property today. Copyright © 2014 Tuff Turf, Inc. All rights reserved.